My tulips are starting to look like they’ll actually flower, and that makes me happy-dance. The buds are huge – I hope that once they bloom, the flowers can stand up straight and not flop over! I am amazed and delighted that the bulbs were not eaten by squirrels and the greenery was not eaten by rabbits or deer, and I hope this is a good sign for the future of my gardens. My grape hyacinths are doing their thing and starting to open up a little. It looks like I have two different kinds, which is weird because I bought and planted one big bag of what I thought was all the same thing. 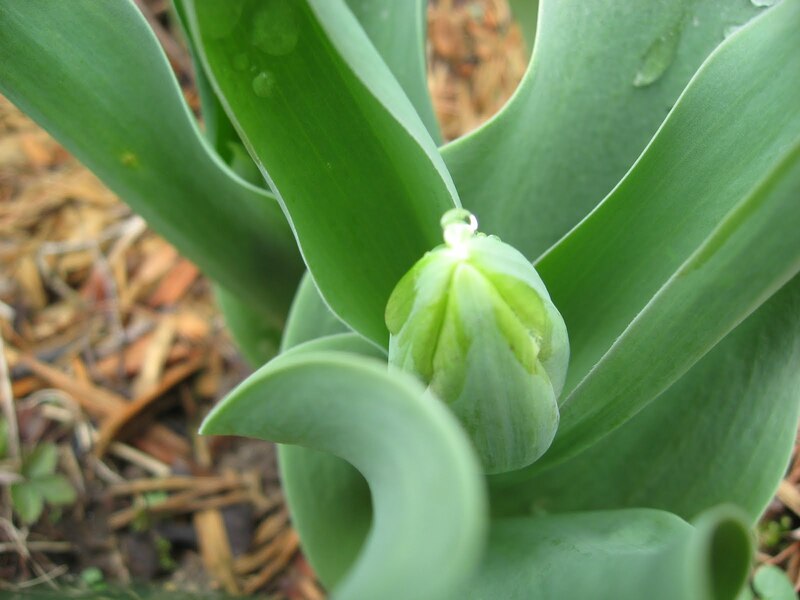 Some of them sprouted skinny striped leaves in the fall after I planted them, and then waited until the spring to push up a flower bud, but others didn’t appear until this spring, with one wide tulip-like leaf with a bud nestled inside it. My online research leads me to believe I have some Muscari latifolium in my mix: the broad leaf is characteristic of that species. Don’t you love the Latin name for these things? 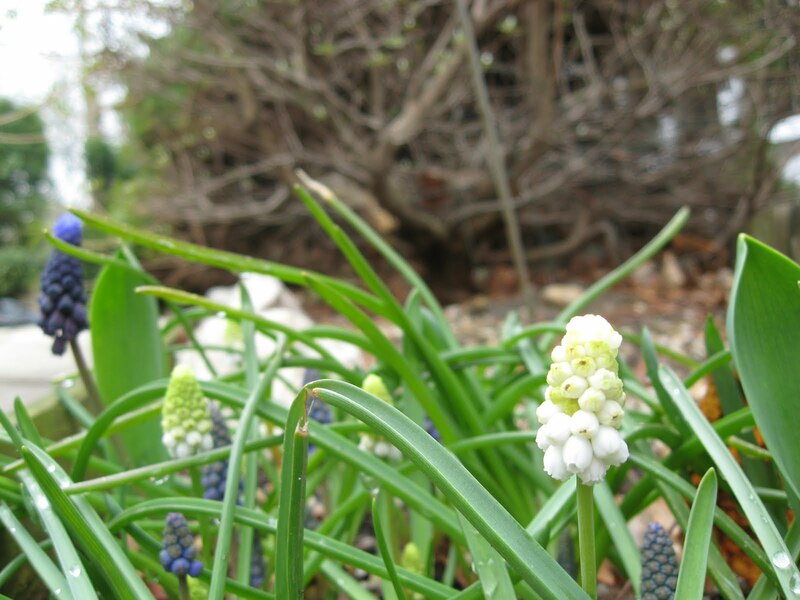 It’s also the origin of the French word for them: muscari. Sounds so pretty! I also have a mix of white and purple, which was also unexpected, but not a problem. Both are going to be pretty. They’re not quite blooming yet but you can see what color they’ll be. I hope to have another garden update tomorrow, because I bought a few plants last week and I want to put them into the garden if the weather is nice enough. This entry was posted in Uncategorized on April 9, 2011 by antijen. Les muscaris sont si belle!